Ten years ago, world leaders affirmed the importance of primary education for a country’s development when they agreed to push for universal access by 2015. Progress toward this ambitious target has been impressive, despite the many challenges posed by conflict, and financial calamities and other issues. At least 20 developing countries have already met their targets on primary education – Kiribati, Vietnam and Azerbaijan even exceeded them more than 10-fold, according to a working paper published by the Center for Global Development. Several countries that required significant improvements over their 1990s baselines – such as Benin, Mali and Mauritania – are now more than two-thirds toward reaching the so-called Millennium Development Goal 2: achieve universal primary education. But many are struggling. To ensure all girls and boys attend school, a multitude of strategies – new and old – are being implemented from Afghanistan to Zambia. 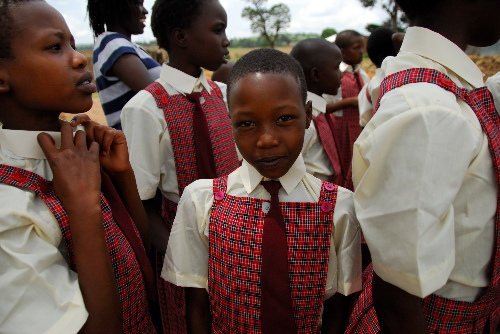 Some countries – such as Kenya, which passed a new constitution this year – guarantee tuition-free primary school. In others, parents are being paid for sending their kids, and especially girls, to school instead of having them work at home, on the street or the farm. Initiatives such One Laptop per Child are seeking to narrow the digital divide. While many of these initiatives have shown success, they tend to come with an asterisk: Even if school is free, what if clothing, food and books aren’t? Are payment schemes such as “conditional cash transfers” to parents sustainable? Do children in Africa need the Internet more than clean water and continuing education? World leaders are gathering later this month to take stock of the fight against major diseases. The Sept. 20-22 United Nations Millennium Development Goals Summit in New York promises to revitalize and refocus the international community on proven strategies for educating girls and boys. This is a unique opportunity for those on the front lines to tell policymakers what is going on in the field – which approaches have proven successful, and which challenges remain. Tell us how your work is helping to achieve universal primary school access. Your experience and knowledge is key to one of the most important initiatives of our time. Join. Be Heard.Start posting your comments, challenges and success stories now! This entry was posted on Wednesday, June 2nd, 2010 at 8:21 pm	and is filed under Goal 2: Achieve universal primary education. You can follow any responses to this entry through the RSS 2.0 feed. You can leave a response, or trackback from your own site.